If you need to convert downloaded videos for your portable players like iPod, iPhone (iPhone 7, iPhone 7 Plus and iPhone 6s included), iPad, etc, or to any other video & audio formats, go to the "Downloaded" tab and click on the add to convert list icon, and then turn to Convert tab. 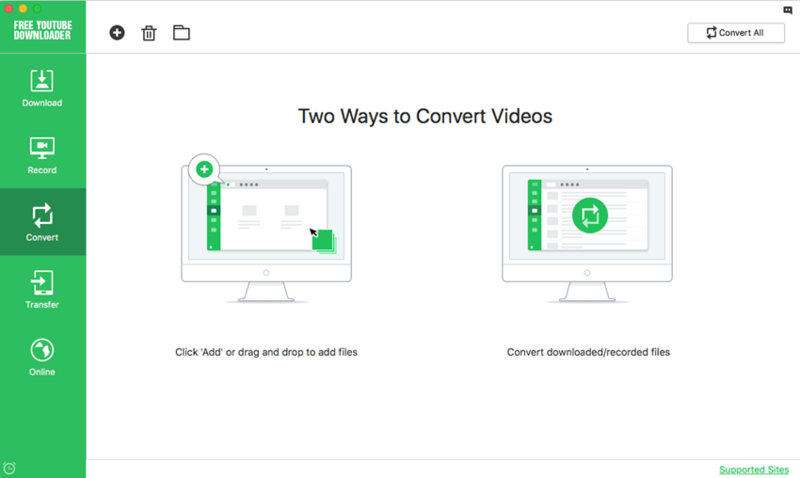 Free YouTube Downloader for Mac doesn't support conversion function for now, please upgrade to Full Version iTube Studio for Mac to process the conversion. The Ultimate Free YouTube Downloader!